“As you may have heard, Delicious was savedfrom Yahoo’s incompetent hands by AVOS, the new startup created by YouTube founders Chad Hurley and Steve Chen, in April 2011. Today, AVOS is relaunching Delicious, which they say was “rebuilt from the ground up”. On the new Delicious website, you’ll find little references to ‘bookmarking’ as such. Rather, the revamped service aims to sway users into saving and sharing ‘stacks’ of online content with others. 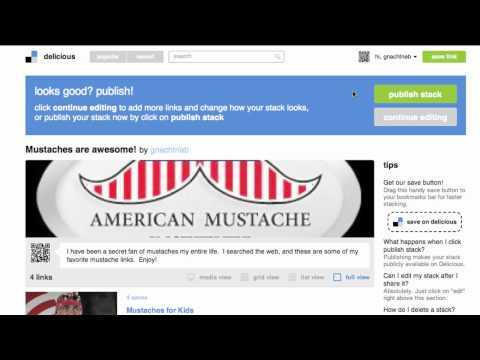 A stack is a collection of links built around a common theme or topic that can be shared in full with other users, enabling easy and swift discovery of online content by cutting through the noise.